Fledgling Ukrainian carrier SkyUp Airlines has detailed its fleet plans for this year with the announcement that it intends to operate four medium-haul, narrow-body Boeing 737NGs along with two long-haul wide-body Аirbus A330s by end of 2018. The airline, which received its Air Operator’s Certificate as recently as May 2018, started off with two five-year-old Boeing 737-800s, operating under tail numbers UR-SQA and UR-SQB. It is taking delivery of a Boeing 737-700 in July, and expects the arrival of another narrow-body of the type before the end of the year, the carrier says. Earlier this year, Eugeny Khainatsky, the airline’s general director, told Russian Aviation Insider that the airline prefers to “keep its fleet uniform.” However, in addition to Boeings, SkyUp currently wet-leases an Airbus A330-200 from Egyptian carrier Air Leisure and plans to add another “soon”. This makes SkyUp the third operator of wide-body aircraft in the country after Ukraine International Airlines and Azur Air Ukraine. The airline meanwhile has specified that it is not planning to set up its own dry-lease operations of wide-body aircraft within the next two or three years. 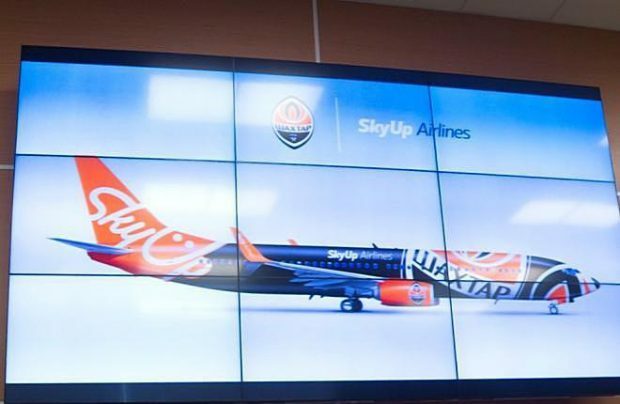 “With the two wet-leased aircraft and the dry-leased fleet, SkyUp will completely satisfy the needs of the travel agency Join Up!” the airline said, in reference to its strategic business partner, one of the major tour operators in Ukraine. The carrier was the brainchild of Yuri and Tetyana Alba, owners of Join Up! Its chief executive Khainatsky previously worked for Ukrainian airlines AeroSvit and Air Onix – and the airline now operates services to Turkey, Egypt, Tunisia, Albania, Georgia and Montenegro. In 2019 SkyUp is looking to acquire three or four additional Boeing aircraft. It is also the first east European customer of the Boeing 737MAX-10, the largest of the re-engined aircraft family. It has three of the type and additionally two Boeing 737MAX-8s on order, with deliveries scheduled to commence in 2023. SkyUp is based at Kyiv International Igor Sikorsky Airport (formerly named Zhulyany).